Bobby graduated from the University of Oklahoma (BBA) in December 1973. Upon graduation, he served four years in the Air Force as a Titan II Deputy Missile Combat Crew Commander and Instructor. During that time he earned his Master’s Degree in Business Operations Management. After the Air Force, Bobby accepted an invitation from his father-in-law, Tom Webb, to join the family insurance agency, which was started by his wife’s grandfather, Elwen H. Boese, in 1947. In 1980, the agency name was changed to Webb, Young & Webb, Inc. Later, Bobby became President of the agency. The agency joined Rich & Cartmill, Inc in January, 2019. 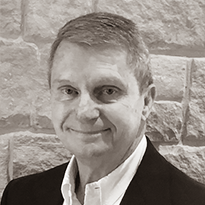 Bobby has focused on a variety of businesses over the years including, utility and specialty contractors, public and private schools, non-profit organizations, property owners, municipalities and counties and various services industries. Bobby has served on several insurance advisory panels, including CompSource, Hanover, and C.N.A. where he was the Oklahoma Chairman. He has also served on the Executive Committees of the IIAA of Greater Oklahoma City. His designations include CIC and MWCA (Master Work Comp Advisor). He and his wife, Dianne, have two daughters, Kelli and Kim, along with six grandchildren. Bobby and his wife have been long-time active members of Crossings Community Church.